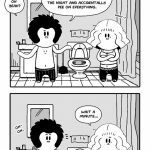 Hey there LWS fans, I have a new comic out today called “Toilet Seat.” I can’t think of anything to write at the moment, so I will come back tomorrow and fill this page up with lots of lovely words. Until then. If you liked “Toilet Seat” and my other LWS comics then you should definitely check out LWS #117 called “Arbor.” It’s one of my favorites. Anyways this page (Let Us In) marks the end of “New Kitten Story Arc.” Jeanie is officially part of our growing family. Expect to see more of their cat shenanigans in the future. Also, I was thinking of making a few Cats of LWS T-Shirts if anyone was interested. How can you get a hold of one of these precious tees? Well, contact me of course with your size and measurements and I’ll set you up with one. 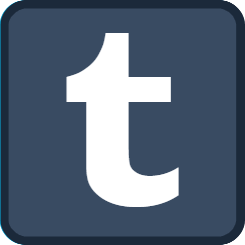 For everyone else, I’ll be making a post about merch in the future. So that’s it for this week’s LWS comics strip. I hope you enjoyed it. I know I really enjoyed writing and drawing our new feline friends. Also, drawing Stacy frustrated is fun too. 🙂 Stay tuned for more updates. Have a good weekend! 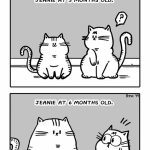 Hey Living with Stacy fans, and welcome to another awesome comic called “Growth Spurt.” As the title implies, our new kitten Jeanie goes through quite the time lapsed growth spurt. Now this is an actual true event. Jeanie was in fact the Runt of the Litter, and within a short year, she was bigger than Tori. Tori used to pick on Jeanie quite a lot as a kitten, and as you may have guesses, the tables had turned. You’ll get to see more of Tori and Jeanie shenanigans in future comics. So if you like cats, you’re going to love the LWS kitty duo! I mean, just look at Jeanie! I want her on a T-Shirt (keep an eye out for that update soon). That’s it for this week. I hope everyone is enjoying the focus on our two lovely and hilarious cats. 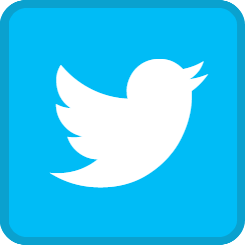 Check back for new updates. My stomach is growling, so it’s time to cook some lunch. Until next time. So that’s it for today’s LWS comic. There are a few more in the “New Kitten” arc. So if you like cats and kitties, stay tuned for more strips. I am encouraged to write more text here and it fills up the space, but I’ve already said what I need to, so now I’m just rambling. I probably only need a few more words and I’ll hit that magic number. In fact, I have four minutes left on my spaghetti, so I guess I have to wrap it up. Stay tuned for the next hilarious LWS comic. Hey there Living With Stacy fans and welcome to another new LWS comic called “Peace Offering.” In today’s comic Ryan is upset that Stacy lied to him about such an important thing. Stacy apologies about the kitten but Ryan quickly retorts that it wasn’t about the kitten, she’s adorable, no…It was about not going to the games store like Stacy promised. Haha. Speaking of enjoying, I did not enjoy breaking my keyboard. It “fell” against my desk and the keys came off and scattered throughout the living room. While cleaning though, I managed to find all the missing keys and snap them back onto my keyboard, thus enabling me to finish my comic. Is there nothing cleaning can’t do? Anyways, if you liked this week’s comic you should check out the previous two comics called Detour and Runt of the Litter as they are the precursors to today’s comic. Hey-yo LWS fans and welcome to another new Living With Stacy comic called “Runt of the Litter.” As you may have guessed…actually you know now, that Stacy’s little detour to the pet store was a little bit more eventful than she initially promised. Looks like Ryan and Stacy have a new kitten! And thus starts a new era of LWS. From now on, Ryan and Stacy have two cats. Tori and….Ah ha! That’ s right, this new kitten has yet to be named. Check back soon to find out what we name our newest member of our family. The new kitten arc has just begun. I plan on having a few more comics that focus on our new kitty. Look forward to that in the coming future. I hope you liked this week’s LWS comic. If you have any stories you wish to share about your first kitten adventure, please feel free to post it below, or on our Facebook page. 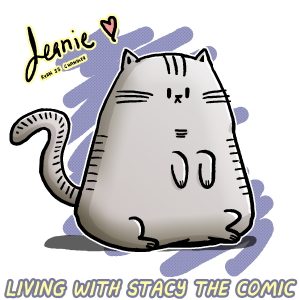 For anyone looking for more cat comics, check out the LWS comic archive. Finally, I decided to add an exert from Wikipedia on American Shorthairs for good measure. The American Shorthair (ASH) is a breed of domestic cat believed to be descended from European cats brought to North America by early settlers to protect valuable cargo from mice and rats. According to the Cat Fancier’s Association, in 2012, it was the seventh most popular pedigreed cat in the United States. When settlers sailed from Europe to North America, they carried cats on board (ships’ cats) to protect the stores from mice. For instance, the cats that came over on the Mayflower with the Pilgrims to hunt rats on the ship and in the colony. Many of these cats landed in the New World, interbred, and developed special characteristics to help them cope with their new life and climate. The American Shorthair is a pedigreed cat breed, with a strict conformation standard, as set by cat fanciers of the breed and the North American cat fancier associations such as The International Cat Association (TICA) and the Cat Fanciers’ Association. Although it is not an extremely athletic cat, the American Shorthair has a large, powerfully-built body. According to the breed standard of the Cat Fanciers’ Association, the American Shorthair is a true breed of working cat. They have round faces and short ears. According to the CFA, American Shorthairs are low-maintenance cats that are generally healthy, easy-going, affectionate with owners and social with strangers. Males are significantly larger than females, weighing eleven to fifteen pounds when fully grown. Mature females weigh six to twelve pounds when they achieve full growth at three to four years of age. With a quality diet and plenty of attention, love, and care, they can live 15 years or longer, requiring annual vaccinations and veterinary checkups. These cats have solidly built, powerful, and muscular bodies with well-developed shoulders, chests, and hindquarters. Welcome to another new LWS comic called “Detour.” Stacy promises Ryan a drive to the Games Store but on the way takes a little detour. Where in the world are they going? Well since you read the comic and are now reading this very sentence I can assume that you know it’s the pet store. Yes, Stacy has taken Ryan to the pet store. But why did Stacy misdirect Ryan about the Video Games Store? Why didn’t she just go alone? Why indeed…You’ll have to tune in next week to find out! If you liked this week’s LWS comic than you’ll love this one called “Let Me In.” It’s kinda of the start of this mini arc I’ve got going on. Hey LWS comic fans, and welcome to a new strip called “All Night Long.” This one’s a bit of a pun, as we see Ryan and Stacy try and ease their cat Tori’s lonely heart by turning on music from the radio during the night. However, things don’t go as smoothly as either of them hoped. Damn you useful and false hope giving internet! Damn you!. If you’re interested in the AC/DC song, you can check out the youtube video. I mean, I’m pretty sure you know the song, but hey, if there’s a small chance that you don’t, then by all means, check it out. If you liked this week’s comic then you’ll definitely loved my other LWS comic strips. 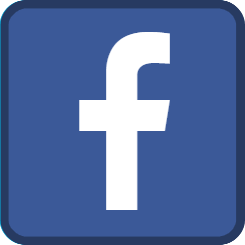 Feel free to check them out and even give them a share or two on Facebook or Twitter. Heyo Living With Stacy fans and welcome to another new comic called “Let Me In.” In today’s strip we see Tori serenade her owners all night long in an attempt to convey, “Let me in!” Haha. But how long can a can meow at the door? She can’t possibly yowl much longer, right? WRONG! Ryan and Stacy soon let Tori in for some lovin’s much to their annoyance. It’s kinda funny…Anyone who’s been in this situation before, i.e. any cat owner ever, goes through a similar thought process in which the meowing outside the door isn’t enough to justify getting out of your warm, cozy bed. It’s only hours later when you realize, “Oh my god, I’ve been awake for 3 hours!” and start screaming “SHUT UP!” into the night so loud the neighbors think you’re in dire trouble. Aw…aren’t cats just adorable. 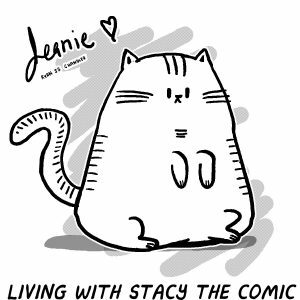 That’s it for this weeks LWS, if you like cat comics then check out these ones called Honesty Is The Best Policy, Guilty Kitty and Dance With Me.